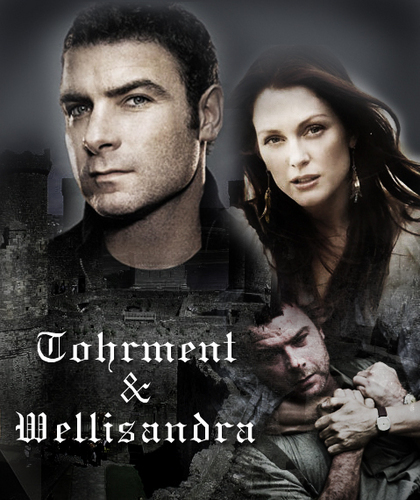 Tohrment and Wellisandra. Tohrment & Wellisandra (Liev Schrieber and Julianne Moore). Wallpaper and background images in the la hermandad de la daga negra club tagged: tohrment wellsie dagger brotherhood. This la hermandad de la daga negra fan art might contain signo, cartel, texto, pizarra, letrero, retrato, tiro en la cabeza, primer, headshot, primer plano, en la cabeza, closeup, animado, cómic, manga, historieta, anime, and dibujos animados. I loved them and I can't believe what tohr ends up doing.